If someone is diagnosed with Coeliac disease, they have a life long allergy to gluten, and eating gluten containing foods can lead to a number of serious health issues. This article lists a number of ingredients, and what brands sell the gluten free alternative. The FODMAP diet has become a hot topic among IBS and IBD sufferers since it has been found that eating a diet low in FODMAPs can bring some relief to the symptoms. Are your symptoms a true wheat allergy, or a manageable intolerance? Understanding allergy and why it appears to be increasing in children is an important issue for new parents. 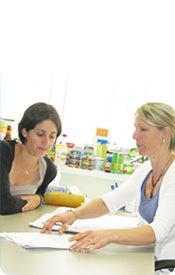 This article offers information regarding the diagnosis and treatment of food allergy and intolerance.